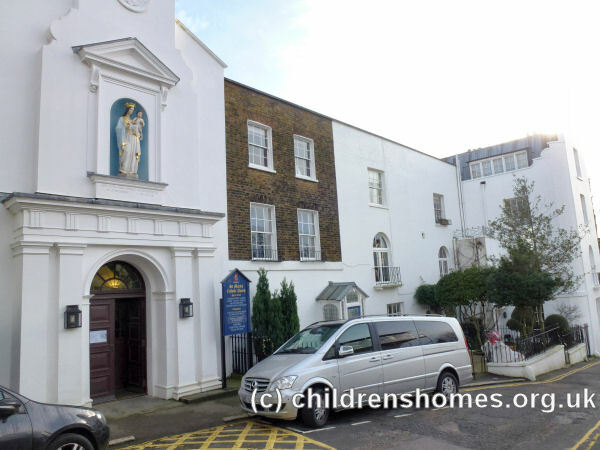 A Roman Catholic Chapel was built at Holly Walk, Hampstead, in 1816. Not long afterwards, two schools (one for boys and one for girls) were set up next to the presbytery and supported by subscriptions from the wealthier parishioners. By the 1860s, the premises, which became known as Holly Place, also included a small orphanage for Roman Catholic boys. In 1871, Canon Arthur Dillon Purcell took over the parish. He discovered that the orphanage was in financial difficulty and its school facilities were inadequate. Purcell was an energetic fund-raiser and thanks to his efforts a new school was erected at the rear of the church. 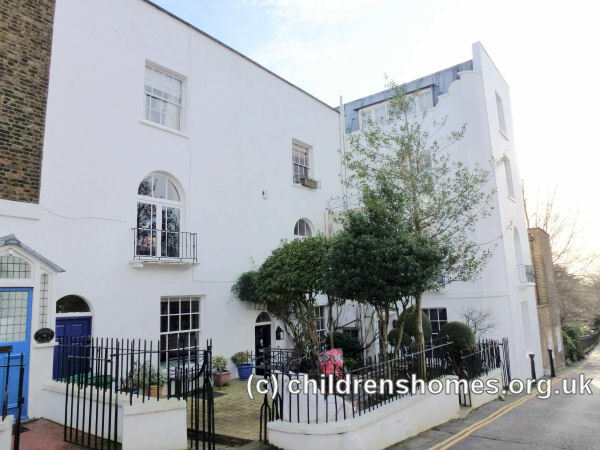 Purcell also became dissatisfied with the care the boys were receiving from the existing lay staff and in 1884 invited the Franciscan Tertiary Sisters from St Joseph's College in Mill Hill to undertake the running of the charity school and orphanage in Holly Place and they established a convent next door at Number 1. Purcell originally decreed that there were to be no more than two sisters to staff the orphanage. The Sisters would be paid a small salary and any further income would need to be obtained by 'questing' or begging. The convent and orphanage gradually expanded to include all the buildings in the terrace south of the church including the present-day presbytery. Purcell took up residence at number 5, on the other side of the church. In 1885, the number of sisters running the orphanage was increased to three. Records suggest that there were probably a few girls at the orphanage as well as boys. In 1899, there were about thirty-five boys in residence at the orphanage. On 23 March of that year, a six-year-old inmates named Anthony Garraud was severely burned after his nightshirt caught fire on the gas stove in a sewing room on the top floor of the building. He was taken to the infirmary at the nearby Hampstead workhouse but died later the same day. In 2012, the incident featured in an episode of the TV series Who Do You Think You Are? 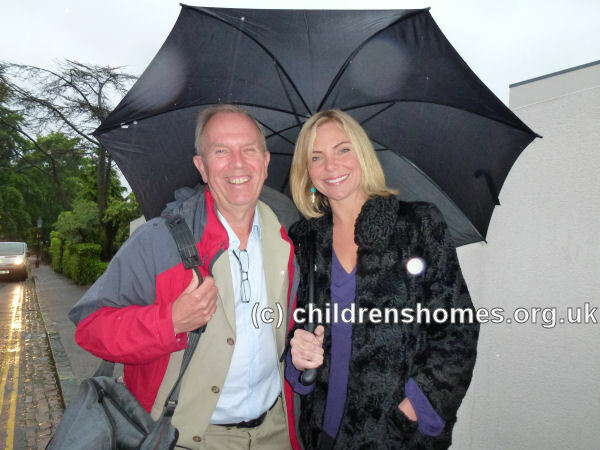 when actress Samantha Womack discovered that Anthony was one of her ancestors. He had apparently spent some time in the workhouse before being transferred to the orphanage. Father Purcell died in 1900, and his successor was Father Michael Fitzgerald. He in turn was followed by Father Thomas Walsh in 1907, the church buildings were in a state of disrepair. The school, already condemned by the Board of Education, was demolished. The convent and orphanage were also in poor repair and their finances were precarious. In 1911, the orphanage was closed and the convent amalgamated with the Sisters of the Franciscan Missionaries of Mary in Canning Town.